To name and develop brand strategies for the children’s and adult’s landside and airside entertainment outlets at Doncaster Sheffield Airport. 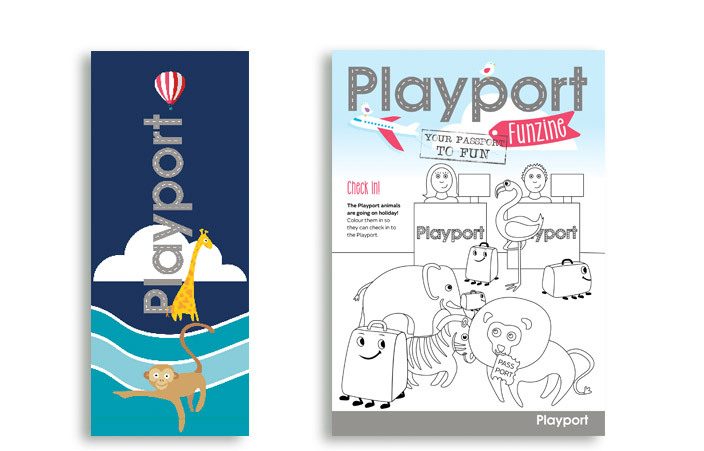 Playport – for children. Names by Isle, the ongoing strongly branded promotions target children, but encourage families to move through the airport terminal. 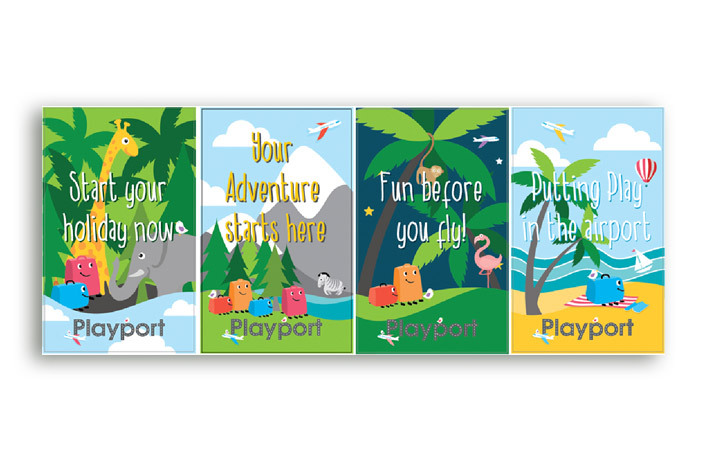 Playport offers safety and security for children to wile away their time, and it can be found by following the trail of bananas. And the facilities available nearby are for all the family. The brand is built around a series of carton animals, on 6 sheet campaigns, FIDS, exhibition modules, children’s puzzle books, competitions and family incentives. Aircade – for adults. The penny arcades branding renamed and repositioned to be more attractive and accessible for all ages.